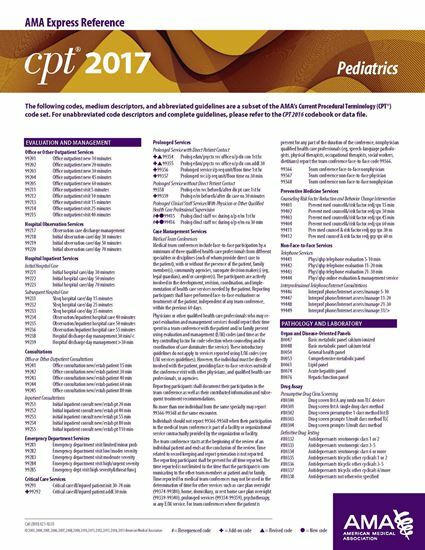 Each double-sided, laminated CPT® 2017 Express Reference coding card is designed to facilitate quick, yet accurate CPT coding by supplying hundreds of the most commonly reported CPT codes per medical specialty. These easy-to-use reference cards allow health care providers and staff members to easily locate a desired code, which can then be referenced in the CPT codebook. A separate card lists all modifiers used with CPT and HCPCS codes.